GUERRERO, Diane with Erica Moroz. 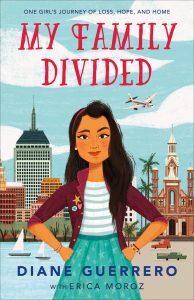 My Family Divided: One Girl’s Journey of Home, Loss, and Hope. 256p. photos. Holt. Jul. 2018. Tr $18.99. ISBN 9781250134868.